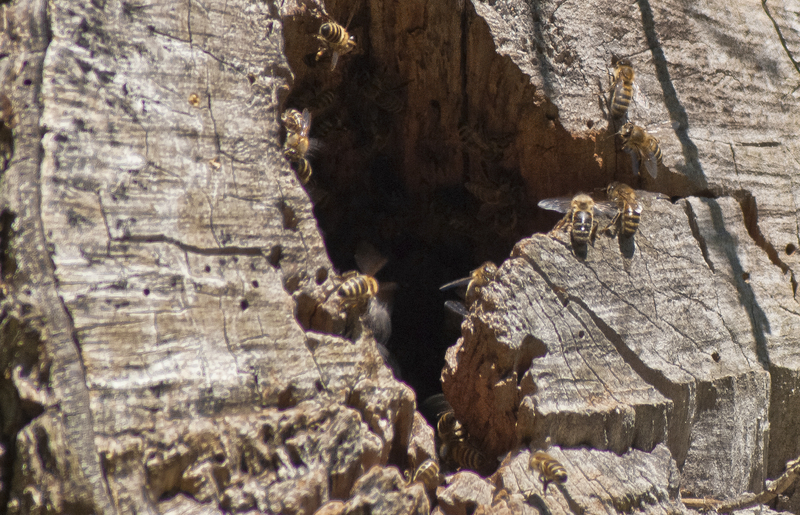 I took this photo of a wild beehive in an old wild-pear tree in a national park in the outskirts of Sofia. I learned that there is a legend, according to which a wild pear should never be cut. Rangers estimate the age of the tree around 500 years. Seems these ‘wild’ bees will have a home for a while. Enter the cafeteria of ECLA of Bard: welcome to a miniature market of local and world’s finest gourmet dishes and organic fruits and vegetables. The line of hunger-driven students and faculty begins to shape itself as a veritable cavalcade of travelers and seekers of the ‘finer things in life’. On certain days the whole place is transformed so as to immerse you in a given state, in which the desire for exploration takes over the mere expectation of meeting your nutritional needs; on others––it’s up to you to see that cozy space as what, in a sense, it really is: an Aladdin’s Cave-like structure, which harbors objects of––granted, subtle and imperceptible––magic. (If at this point you imagine our chef, Stefan, clad in an embroidered silk robe, and offering you some exotic ‘spices’ with magic properties, you might have gone a bit too far). From a certain point of view, however, the cafeteria can become a ‘hyperspace’: every object allows for a journey into its creation and opens up a unique history ‘book’, whose pages might span for thousands of years. My glance is drawn to that object which is so often the last one standing on the table after most people have left: the jar of honey. Little do the connoisseurs, who decide in the very last moment to indulge a bit in a self-made banana–peanut butter ‘split’ glazed with honey, realize that this jar of honey has traveled not only more than 1500 km, but also that it contains a microscopic geographical map made of pollen, and reveals the fascinating and complex political structure of the bee hive­­––which in itself is an inextricable part of the honey production. This summer I journeyed back those 1500 km, and decided to finally learn to ‘enter’ the ‘hyperspace’ of the jar of honey at Waldstrasse 70. In Sofia (Bulgaria’s capital and my hometown), I met with Ivan Ivanov––beekeeper and the producer of the raw honey, which the jar at ECLA’s cafeteria contains. I write here ‘raw’, because unlike other jars containing honey, the one gathered from Ivan’s beehives has the papers to prove the claim. “Raw honey” basically means ‘honey as found in a beehive’. Such honey has traces of pollen and beeswax, and most importantly––has not been heated. Such honey is often consumed and used in hand-made cosmetics by people with mild allergies, especially pollen-related, so as to accustom their body to the allergens. Ivan showed me the melissopalynological (melissopalynology is the study of floral pollen and spore sources in raw honey) report conducted by the Bulgarian Academy of Sciences’ Botanical Department. In that jar, transported from cafeteria table to table, there are 720 kinds of pollen (47% are from the Apiceae genus). That jar of honey is a microscopic geographical map. As Ivan points out, you can read the report as a mapping of where the bees have gone to collect nectar: the presence of some pollen from various flowers that usually grow in forests indicates that there might be a small forested area near the main plant crops or that some bees have gone a bit astray. In any case, even if you never actually go out (but have a microscope and some botanical knowledge), you can recreate the floral specificity of an area with a radius of up to 3 km––that is, since bees rarely forage more than 3 km away from the hive. As I mentioned earlier, raw honey not only contains pollen and traces of wax (which bees use in order to construct the famous hexagonal cells of the honeycomb and to seal the honey), but also is not heated. The presence of the organic compound hydroxymethylfurfural––which derives from the dehydration of the sugars in honey––of a certain percentage indicates that the honey has been heated. At a temperature above 40°C the valuable enzymes found naturally in honey break down. Unfortunately, quite a few honey producers heat up their honey to make it more appealing to the customers or to use up an old batch that did not sell and eventually crystallized. Not every jar of honey, however, can offer you an invisible map. Oftentimes beekeepers would feed bees sugar syrup instead of allowing them to forage––hence no pollen and no specific taste. Others would trick their bees into collecting a particular kind of nectar and pollen by giving them sugar syrup scented with the aroma of the flower of interest 2-3 weeks before efflorescence. That beekeepers have to resort to various ‘tricks’ or methods so as to obtain honey and optimize its production testifies to the fact that honey-making involves much more than the presence of a beehive and Winnie-the-Pooh-like figure. Beekeepers must not only have colonies, but also understand the particularity and the life of their bees. The jar of honey reveals the hidden complex political structure of the beehive (and if you get a piece of wax in it––its intricate architecture). The bee society is undoubtedly a matriarchy. The queen bee is the largest bee and the only sexually mature female in the hive. She is raised from a normal worker egg, but develops in a modified larger cell. It is up to the worker bees to decide which egg is to become the queen. They do so either to supersede an old and less productive or ill queen, or because they prepare for swarming. Once they choose an egg they elongate the cell, which comes to look more like a hanging cocoon rather than the typical hexagonal-shaped cell, and feed her larger amounts of royal jelly––secreted by nurse bees after they feed on pollen and honey––which leads to a radically disparate growth and development. However, the queen leaves the hive only once in her life––during her mating flight. She goes to a “drone swarm”, which for Ivan is a fascinating phenomenon in itself, though very rarely seen. She performs a unique dance in the air (unlike the orientational “waggle dance” of worker bees through which bees communicate directions for foraging and which takes place inside the hive) quite above the ground and mates with a number of drones that were able to keep up with her (the rest were not strong enough). If a queen fails to mate and as a result lays unfertilized eggs, i.e. drones, oftentimes worker bees would kill her and make a new one. Worker bees become ‘killer’ bees when the queen becomes old and has less sperm and less controlling pheromones, or when the weather gets cold and they drive the drones out of the hive to die, often biting and tearing their legs and wings (to make sure, I guess). Generally, stronger colonies attack and kill weaker ones. Honey-making is actually a small part of this Game-of-Thrones-like society, and it’s just one of the jobs that a worker bee has to perform in her life–– between the 8-th and the 16-th day of her development, to be precise. A worker bee climbs the social ladder, so to speak, as it ages. She starts as a cleaner of cells, then becomes a nurse, then begins to receive pollen and nectar from field bees so as to digest them and turn them into honey. She stores the honey generally in the upper part of the honeycomb whenever there is brood (eggs, larvae, pupa), fans it with her wings until most of its water content is out, and seals it with wax. Around day 14, a worker bee is ready to become an entrance guard or a nectar and pollen forager. Foragers perform orientational flights to find nectar and pollen, during which they can perfectly orient themselves according to the position of the sun. They communicate this information in the hive through the “waggle dance”, in which they, well…waggle and draw an 8-looking (or the infinity sign) shape. This shape indicates the position of the flower at a certain angle from the sun, and the ‘length’ of the waggle segment, which forms the middle of the ­8, indicates the distance (or rather how much flying a bee should do). Bees do take the passage of time quite precisely as well, even if they are in the dark hive for hours. A jar of good honey is a result of good honey-making, which itself is a matter of a good population of worker bees that in turn depends on the queen. As a side note: arguably, the most complicated job an older bee performs is wax making, cell and honeycomb building. I am not going to pretend I understand the geometrical complexity of the beehive’s structure, however. All I know is that honey-making is a journey, and every jar of (good) honey can be a piece of ‘hyperspace’: a honey jarney.